llustrated. 211 pp. New Directions. Paper, $16.95. War memoirs tend to be written by soldiers; civilian voices are seldom heard. 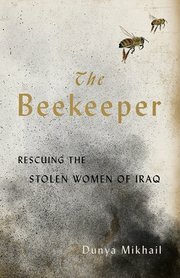 “The Beekeeper,” by the Iraqi-American poet and journalist Dunya Mikhail, is a rare and powerful exception. In 2014, ISIS swept into parts of northern Iraq where the ethnically Kurdish Yazidi people have lived alongside the Muslim majority for centuries. The invading army forced the Yazidi men into open pits and shot them, and took thousands of women and children captive. Elderly women were sometimes buried alive. Through interviews with those who managed to escape, Mikhail has created a searing portrait of courage, humanity and savagery, told in a mosaic of voices. We learn of the slave markets where women are bought and sold, and of the online auction sites where they are listed simply as “Girl #1” or “Girl #2.” Fetching anywhere from a dollar to $500, they are raped, “rented” and used as forced labor. For ISIS fighters (referred to here as Daesh), such are the spoils of war. Linking their stories is a Yazidi Schindler named Abdullah, a beekeeper who has made it his mission to rescue the enslaved women after many of his family members were taken, including his sister. “Every day that I save a captive woman I save her, too,” he tells Mikhail. Using his extensive contacts and knowledge of roads throughout Iraq and Syria, he organizes a “hive” of smugglers of both sexes to engineer cunning rescue operations. There are many such heroes in these varied accounts, not least the women themselves, and details so astounding that it was wise of the author to include photographs bearing witness to their truth. 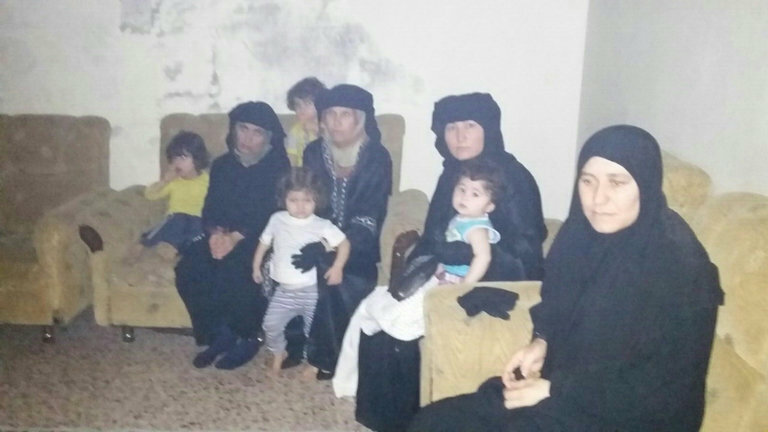 The smugglers are paid by the Kurdistan Region of Iraq’s Office of Kidnapped Affairs. (Yes, there is such a thing, established in response to the captive-taking.) It is dangerous work, and many smugglers lose their lives in ambushes and airstrikes. But even more remarkable in this heart of darkness are the selfless acts of mercy by strangers who help the women elude their captors. She helps anyway. Her father fights on three-week rotations, returning to the house for a few days of rest. On those days the seamstress hides Zuhour and her children in her sewing room — the only place her father never sets foot. This goes on for two months, until the women get hold of a Kurdistan phone book and start calling numbers at random. (A common problem for the captives is not being able to remember numbers from their confiscated phones.) The first person to answer contacts Zuhour’s uncle, who calls the beekeeper, who sends a female smuggler to pose as a customer.